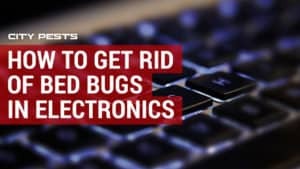 After recovering from the shock of discovering bed bugs in your home, it’s time to take action. Bed bugs require a multi-faceted approach as they are resistant to heat, cold, starvation, and even diatomaceous earth (DE) powder. Still, all of these methods can be effective if used correctly. 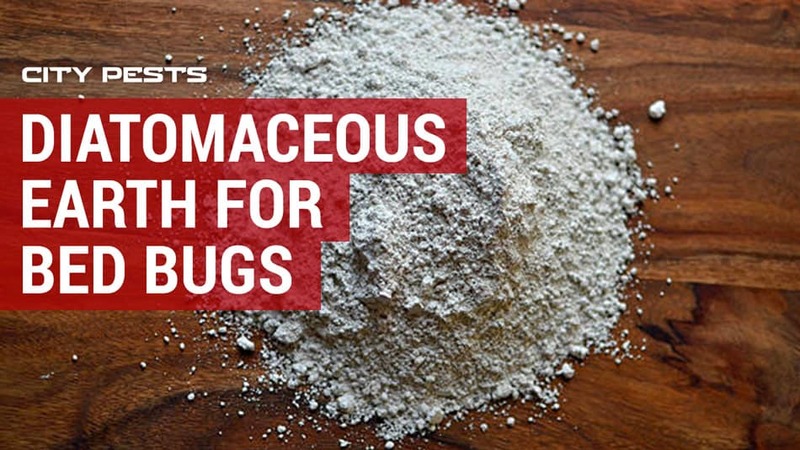 Curious how to use diatomaceous earth to kill bed bugs? After carefully washing and steaming surfaces in your home and vacuuming, sprinkle diatomaceous earth carefully across your entire floor. It can also be used as a barrier to discourage bed bugs from climbing the bed. Diatomaceous earth for bed bugs won’t work on its own but it’s an important tool in your arsenal to stop bed bugs for good. Here’s how to effectively use diatomaceous earth for bed bugs. Diatomaceous earth is a natural soft sedimentary rock that comes as a talc-like powder. This substance is used to control insects because it’s abrasive, uncomfortable to walk over, and it strips the lipid layer from insects’ exoskeletons. One of the most crucial things you can do is using food grade diatomaceous earth because it will be spread throughout your home and inhaled to some degree. 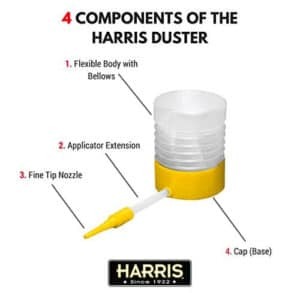 Harris DE food grade powder (see on Amazon) is safe for humans but designed for bed bug control with an included powder duster to apply the powder to your carpet, upholstery, and other surfaces. Use an applicator to sprinkle a liberal amount of diatomaceous earth for bed bugs in these hiding places. 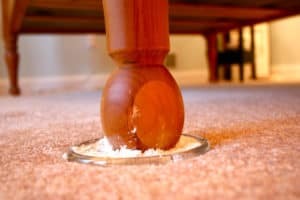 Pay special attention to cracks, crevices, drawers, and carpeting. A DE applicator makes it easy to puff diatomaceous earth in even tiny areas. You can remove switchplate covers to puff DE behind switches and outlets, too. Your furniture, mattresses, and carpet should also be covered with a thin layer of diatomaceous earth without leaving any areas bare. Use a duster to control the application of powder. Diatomaceous earth should be left in place for as long as possible. This constant barrier helps prevent bed bugs from spreading and slowly helps to kill adult bed bugs. 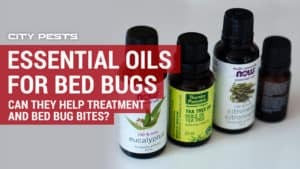 Because it only affects adults, not eggs or nymphs, it must also be used long enough for the eggs to hatch and for the bugs to molt several times. After leaving the DE powder in place for several weeks or up to a month, it can be wiped off or vacuumed. When you vacuum DE powder, make sure you change or clean your vacuum filter frequently as the fine powder tends to clog vacuums. A shop vac can avoid the strain on your household vacuum motor. While DE powder can help control and stop a bed bug problem, it doesn’t work alone. Diatomaceous earth works to strip insects of their lipid layer so they slowly become dehydrated and die. Bed bugs, however, resist this desiccation better than most insects. 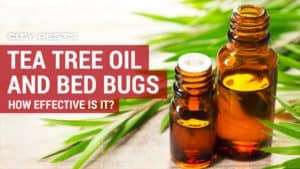 According to one study, bed bugs resist this type of desiccation better than other insects in part because they can replenish their fluids with blood meals. In the study, infested apartments were treated with diatomaceous earth only without laundering clothing and bedding or encasement of the mattress. The study found that while DE treatment alone appeared to slow the increase of bed bugs, it did not decrease the bed bug population. Vacuum thoroughly. This lifts and removes adults, nymphs, and eggs on the floor. Make sure the vacuum bag is emptied into a sealed plastic bag outside your home. Use steam. A high-powered steam cleaner that can reach more than 130 degrees is necessary to kill bed bugs. The McCulloch carpet cleaner and steamer (see on Amazon) is recommended because it heats water to over 200 degrees. Be thorough and slow, going over each area very carefully. Wash fabrics. 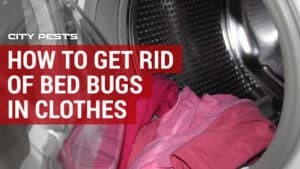 All clothing, bedding, stuffed animals, and other fabrics should be washed in the hottest water and dried at the hottest setting to kill bed bugs and eggs. Make sure the items are bagged and sealed in the contaminated area and dumped directly in the washer to avoid spreading the infestation. 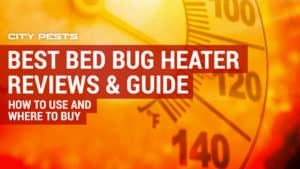 Use bed bug heat treatment. Items that can’t be washed can be disinfected with heat. If the items fit, use your dryer. If they don’t, seal them in black plastic bags and sit them in the hot sun for several hours as long as it’s at least 80 degrees outside. Use a mattress encasement. A bed bug mattress encasement (see reviews) is an effective way to seal your mattress and box spring. 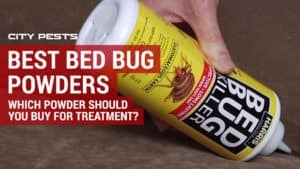 A quality encasement prevents all bed bugs and nymphs from escaping but it must be left in place for at least a year to ensure all bugs starve and die. 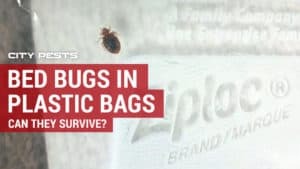 After using diatomaceous earth and other strategies to fight back against the bed bug infestation, it’s a good idea to implement traps or interceptors to keep an eye on the infestation. Interceptors and traps help you monitor the infestation by giving you an idea of the scope of the problem or confirming if bed bugs still remain. Use DE with bed bug interceptors on the legs of your bed or furniture. ClimbUp interceptors (see on Amazon) can be added to bedposts and the legs of furniture to help prevent bed bugs from getting onto the furniture or confirming their presence. These traps have a two-wall design that traps the bed bugs as they climb. You can also add diatomaceous earth to the inside of the interceptors to make sure the bugs can’t get out. What does diatomaceous earth do to bed bugs? DE has two actions against bed bugs: it’s abrasive and it absorbs lipids from the insect’s exoskeleton. Stripping the lipid layer causes water to evaporate from the bed bug’s body to cause dehydration and eventual death. Bed bugs are more resistant to DE and desiccation than other insects and only adult bed bugs are affected. How long does it take for diatomaceous earth to kill bed bugs? DE is a long-lasting but slow-acting solution. 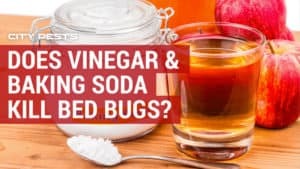 Diatomaceous earth will not kill bed bugs immediately as results may take anywhere from several days to a week or several months depending on exposure and whether the bed bugs have access to blood to replenish bodily fluids. Only adult bed bugs are affected by DE. Is diatomaceous earth harmful if inhaled? DE can cause coughing and shortness of breath if inhaled as well as skin dryness and irritation. We recommend using food grade diatomaceous earth for bed bugs as inhalation is no more dangerous than dust. Still, DE should be used in a well ventilated area to avoid too much airborne DE.